Founded in 2012, Future Pro Academy is the vision of Demir Vavan, UEFA Licenced Coach, passionate football man and great believer of investing time in working with young people. Demir has spent his whole career in the football industry, coaching, teaching and mentoring young aspiring and professional footballers who have gone onto play at the highest levels in the professional game at Premier league and international level. At Future Pro, our philosophy is that we take care of all your footballing needs. Our programmes focus on technical, tactical, physical, psychological and social aspects of football – as a team and as the individual. We embrace every players’ strengths, yet push for continuous improvement. This installs the confidence to show initiative on the pitch, whilst maintaining discipline and forms the core value of our elite football academy. Utilising top facilities, we provide players with the perfect ingredients to flourish taking their game to the “next level”. At Future Pro players are encouraged to show desire, commitment and conduct themselves in a positive manner at all times. 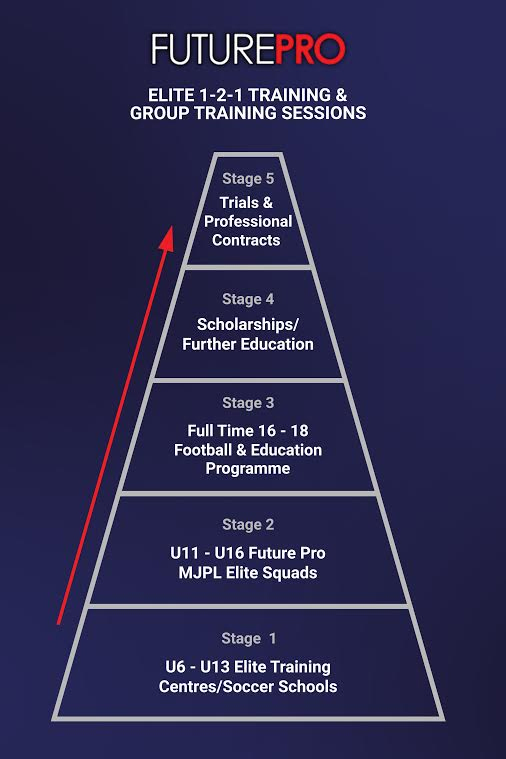 We strive to assist all players in the pursuit of higher opportunities, although no one can reliably predict the future or success of any young player, we believe if you have it in you, Future Pro is unrivalled in the opportunities we can offer young aspiring players. We hope that when a player moves on, whatever age or ability, they will reflect on their time working with Future Pro as a positive, worthwhile and rewarding experience. Our clients are amongst those currently playing in the highest professional tiers of senior, youth and international football. At Future Pro we provide you with bespoke training to become the best you can possibly be. For your free consultation or trial call 07894322273 / Email future1pro@gmail.com.